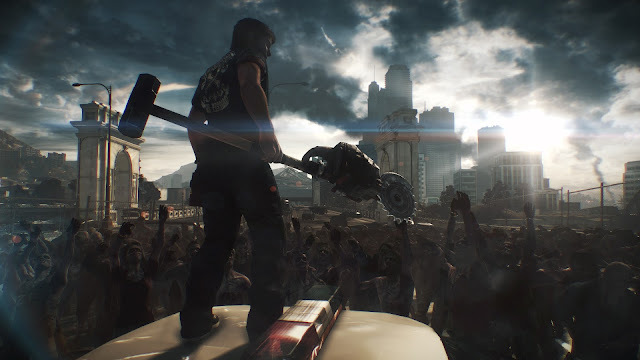 Microsoft’s offerings at the 2016 EB Expo largely focused on three core games: Gears of War 4, Forza Horizon 3 and Dead Rising 4 (and to a much lesser extent ReCore, which was on the team t-shirts and wasn’t shown off much). Each game fills a different niche in the company’s ethos of cutting edge entertainment, and together the bases are covered for a good release schedule for Christmas. We had the chance to sit in on a Q&A session with the respective creative directors of each game, who chatted a bit about how their games fit into their overarching franchise as well as the Xbox One ecosystem. The big feature tying the three games together was the new Play Anywhere feature, which allows cross-buy between Xbox One and PC, with seamless progress transfer between platforms. It’s definitely a nice quality of life update, especially considering that gaming is moving away from long sit-down sessions, and the allure of being able to blaze through a quick race or two on Forza without booting up the entertainment system is most definitely a plus. The Q&A conference overall stressed the importance of accessibility in gaming, for both veterans and new entrants to the medium. The other key theme, quite refreshingly, was appealing to the fanbase: all three developers for Gears of War, Forza and Dead Rising understood that they were taking on franchises with significant fanbases and were faced with the challenge of doing right by the long term fans whilst still making their game appealing for newcomers to the series. Developers for Gears of War 4, The Coalition (a relatively young studio, not the video-game defunding Australian political party), quickly addressed issues of staying true to the long running shooter series’ roots. Early in the development cycle they understood that the Gears of War series has a distinct “feel” which made it the gold standard of third-person shooters, and so the team set to emulate that feel while still finding ways to innovate and make the game original. A key aspect of this was the story, which branches off the fairly definitive conclusion from Gears of War 3 to follow the son of Marcus Fenix, continuing to explore the themes of fatherhood, duty and growth that have become associated with the franchise. There was a clear sense of wanting to make the fans proud, especially as it would be the first time the main series had been handled by a studio other than series creator Epic Games. 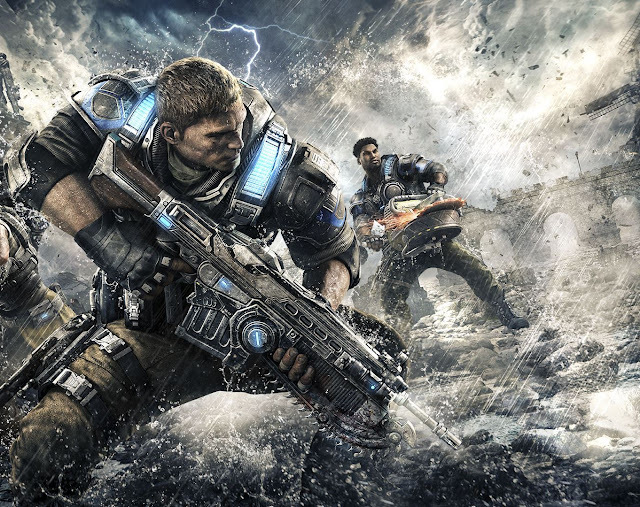 Nonetheless, a bombastic attitude to game design and a true love for the series on behalf of The Coalition makes me optimistic that Gears of War 4 will be a strong entry in the franchise. Compared to The Coalition, the talk from Forza developers Playground Games was more laid back. It seems that Playground Games have become very comfortable with its two year development cycle, asserting that it allowed them a lot of freedom to build their game while keeping them on the cutting edge of technology and development trends. Forza Horizon 3 is set to be an open world racing game set in Australia – all of it – although admittedly one with some creative liberties. 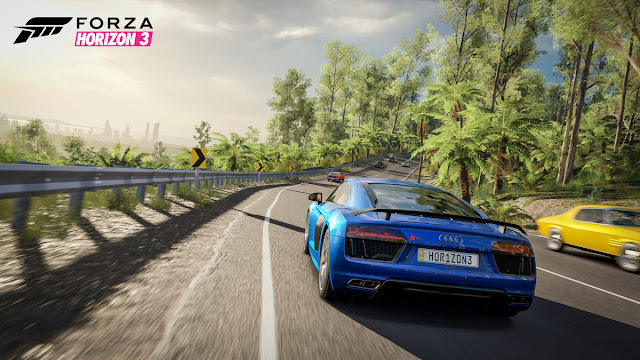 We were particularly excited upon hearing that areas of the game were designed 1:1 with real world locations, allowing for the fantasy fulfilment of driving a sportscar down picturesque highways without having to worry about speed tickets – about time, really. Horizon 3 is looking to be an enormous game, with over 300 cars and the ability to customise courses and challenge your friends with them in a seamless social experience. As with the rest of the series, Horizon 3 is a celebration of car culture and everything that comes with driving: it’s something that no racing fan should miss. Rounding out the package was Capcom Montreal with the comedy horror game Dead Rising 4, a surreal 3D beat-em-up set in a sprawling open world filled with the risen dead. The series has always been known for having an everyman protagonist fight against inexplicable zombies using a ridiculous arsenal of weapons, and that theme comes back in full force in 4 with the return of an older, wiser Frank West and the addition of a powered exo-suit for efficient undead slaying. Having made a humorous game at its core, Dead Rising 4’s director was open to joking around, expressing that there was not a single idea on the drawing table that was veto-ed for being too over the top. And it shows: Dead Rising 4 revels in its absurdity, with creatively designed weapons that combo with each other in remarkably novel ways. The gameplay is smooth and frenetic with a distinct tension which balances against the sheer craziness of the action. It’s a game which is both fun to watch and play, and although it’s a bit of a niche premise, Capcom Montreal are confident in its skills and are willing to bet on its success with a mass audience. From my experience with it, Dead Rising 4 is bursting with new ideas and creativity. Whilst Microsoft didn’t come at us this year with quantity, each of its games showed tremendous promise, meaning that exciting times are ahead for Xbox One owners. While I would’ve liked to have seen a bit more support for ReCore, each game shown at EB Expo looked very strong and each developer had a perceivable love for their craft which really sparked my excitement for their games. If these games haven’t already been on your watchlist, whether you’re a PC or an Xbox player, it’s high time to check them out!